This is Page 5 of a nine-page article. Click on the black links below to visit other pages. 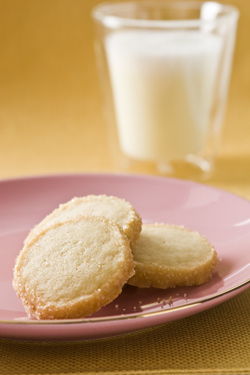 We baked pastry chef Larissa Raphael’s shortbread cookie recipe with five fine vanillas. The corresponding results. 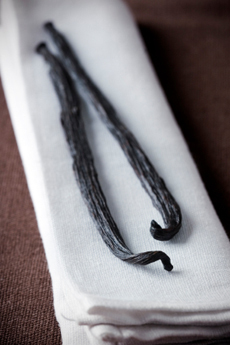 You’ll note that the vanilla extracts came from different areas of the world. While “terroir,” which includes the soil and microclimate in which something is grown, does effect the flavor, the curing process has a greater impact. All of the cookies were delicious, but the choice of vanilla extract did make a difference—as much as if, say, you added a pinch of another spice (cinnamon, e.g.) to the recipe. It’s subtle, but it’s there, and the sophisticated palate can appreciate the difference. The next time you bake cookies, make two batches and test your current vanilla against one of these products.